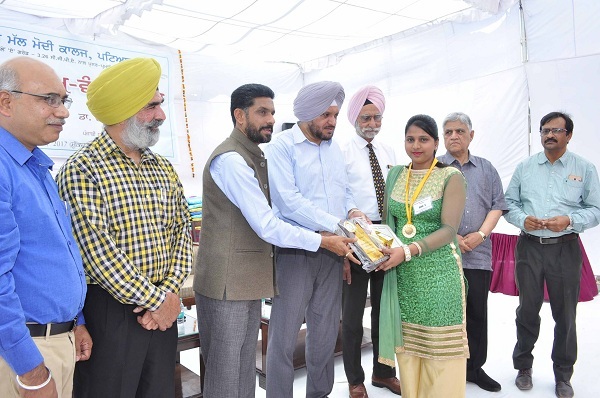 Annual Prize Distribution Function was held at M M Modi College, Patiala today to felicitate achievers in Academics, Sports and Co-curricular activities. 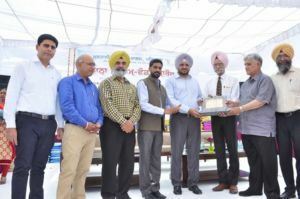 S. Gurpal Singh Chahal, Commissioner, Municipal Corporation, Patiala presided over the function and distributed the Roll of Honour, College Colour and Merit Certificates to the winners. He said that though we have gained a lot in academics and other achievements, the moral standards of the society are not matching with it. He urged the students to achieve in academics and learn moral, ethical and humanistic values which will take the society to higher level of consciousness. Principal Dr. Khushvinder Kumar welcomed the Chief Guest, Guest of Honour and other dignitaries. He congratulated the prize winners and presented the Annual Report of the College where all academic and other achievements were highlighted. He congratulated the staff and students for getting the status of College with Potential for Excellence (CPE-II) from UGC, New Delhi. Dr. Ajit Kumar, Registrar of the College told that 46 Rolls of Honour, 230 College Colours and 385 Merit Certificates were awarded to the students. Rolls of Honour were awarded for achievements in Academics to Rajni (First position in University in MSc – Pharmaceutical Chemistry), Mitu Bhatia (Second position in University in MSc – Pharmaceutical Chemistry), Gauri Sharma (Third position in University in MSc – Pharmaceutical Chemistry), Amandeep Kaur (Third position in University in MSc – Biotechnology), Neha Rani (First position in University in BSc – Fashion Design), Mehak Taneja (Third position in University in BSc – Fashion Design), Amandeep Kaur (Third position in University in BSc – MCM), Sandeep Kaur (Second position in University in BSc – Fashion Design), Rithampreet Kaur (Third position in BSc – Biotechnology). Gauravdeep Singh of BA-II got Roll of Honour for creating new world record in Guinness Book in Most Jump Squats in 1 Minute. Madhu Vedwan won 2 Gold Medals in Archery (Taiwan), Shivjot Gill won Bronze Medal in Shooting (Poland). Jyotika Dutta (Fencing at Tokyo), Mayank Markandey (Cricket, Nagpur), Reyal Puri (Boxing, Russia), Rajbir Singh (Cycling, New Delhi) and Pankaj Garg (Soft Tennis, Hiroshima) participated in International Sports meets. 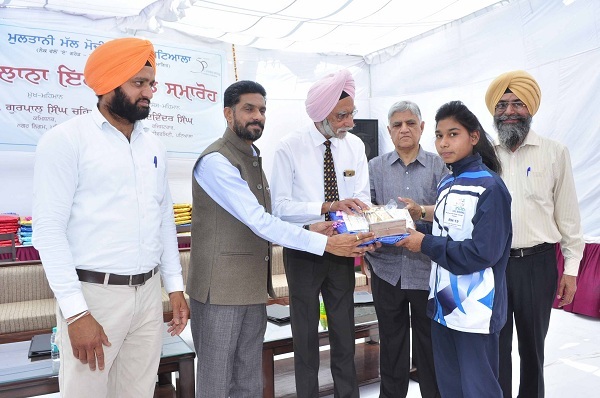 Prizes to sports persons who won 44 Gold Medals, 32 Silver Medals and 30 Bronze Medals at National Level and their coaches were given on the occasion. Prof. Surindra Lal and Col. Karminder Singh, Members of the College Managing Committee also addressed the prize winners. Prof. Nirmal Singh proposed the vote of thanks. 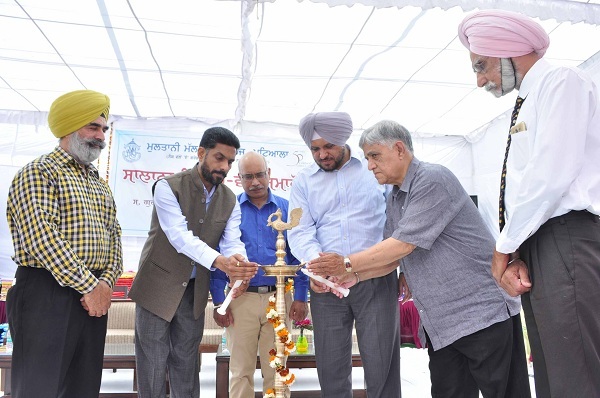 Prof. Baljinder Kaur, Dr. Ajit Kumar, Prof. Ganesh Sethi, Prof. Harmohan Sharma and Dr. Kuldeep Kumar conducted the stage. 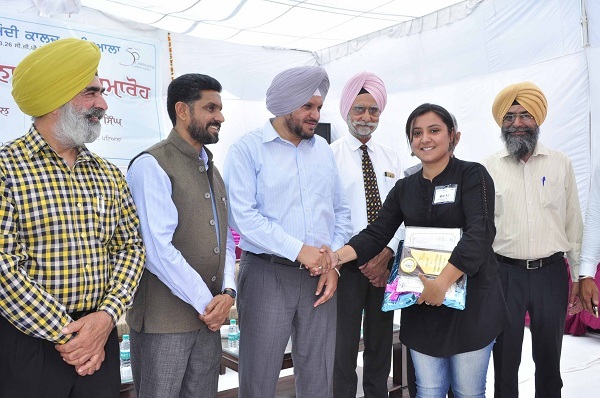 Chief Guest S. Gurpal Singh Chahal, Commissioner, Municipal Corporation, Patiala giving away the prizes.